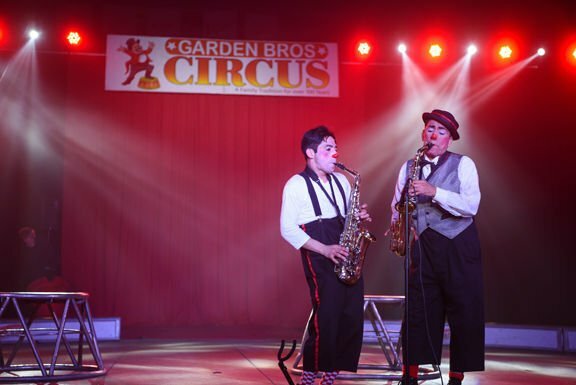 Garden Brothers Circus performers put on a show in 2017. Cool Insuring Arena will host Garden Bros. Circus at 4:30 and 7:30 p.m. on April 4. Garden Brothers Circus performers put on a show in 2017 in Glens Falls. Cool Insuring Arena will host Garden Bros. Circus at 4:30 and 7:30 p.m. on April 4. GLENS FALLS — Get ready for the "most epic show on Earth" as a longtime circus will be returning to Cool Insuring Arena for a pair of shows in April. Cool Insuring Arena will host Garden Bros. Circus at 4:30 and 7:30 p.m. on April 4, according to a news release. The show features a fast moving 100-minute performance in a three-ring setting which features performers from 22 counties, the world's largest elephant, chinese acrobats, aerial artists, motorcycle stunts, camels, horses, clowns, jugglers and more. Tickets go on sale at 10 a.m. March 4 and start at $12 for advanced purchases. The first 100 adult tickets purchased online at www.coolinsuringarena.com will be $14.50 with VIP packages available. Tickets are also available by phone at 1-855-432-2849 or online. For more information and for a special ticket offer visit www.gardenbroscircus.com.